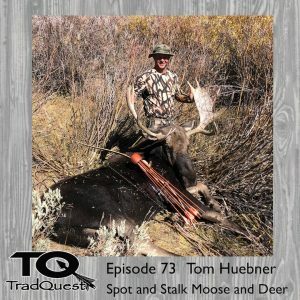 In this episode we talk with Tom Huebner about some spot and stalk bowhunting. Tom has been shooting a bow since he was a little guy and grew up in a bowhunting family. A lot of little tips in here so listen up!! He had an incredible season in 2018 so we recap his mule deer and moose hunt…enjoy!! 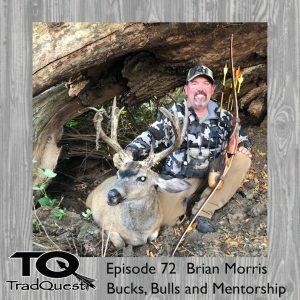 In this episode we talk with Brian Morris Blacktail Bows pro-athlete:) We talk about Brians season stalking blacktail and mule deer as well as some Nevada elk. Brian is a great guy who spends a lot of time mentoring new and young hunters in the field…enjoy!! 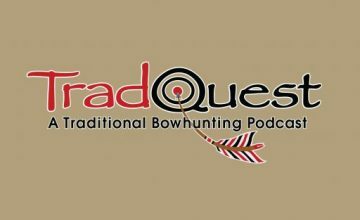 In this episode we talk with Jake Powell, a bowhunting legend most of you have never heard of. Jake has taken the Colorado Big 8 four times with a stick bow. 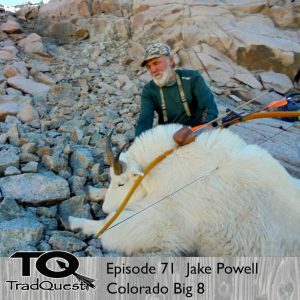 Jake has been shooting a bow for 70 years and we share some of his lifetime of hunting with the stick bow!! Enjoy! !